Simson Provincial Park might be the least visited provincial park within a couple of hours of Vancouver. It’s so close and just a little bit tricky to get to. 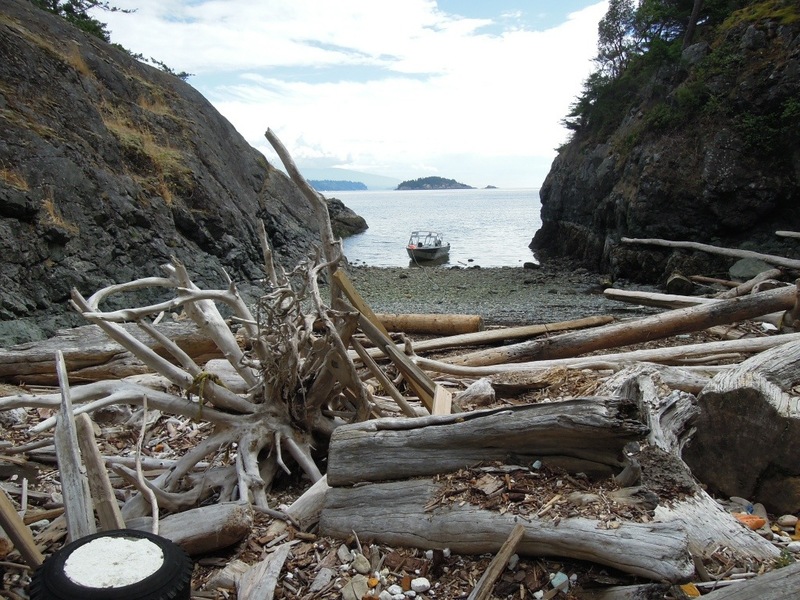 Occupying most of South Thormanby Island it’s accessible by boat only, ideally a small one or a kayak. In this case we took our 20′ tin boat which we could drive up quite nicely on to the rocky beach at Farm Bay. There’s good camping in a small clearing just above the beach. There’s also a great spot in Long Bay, just next door. 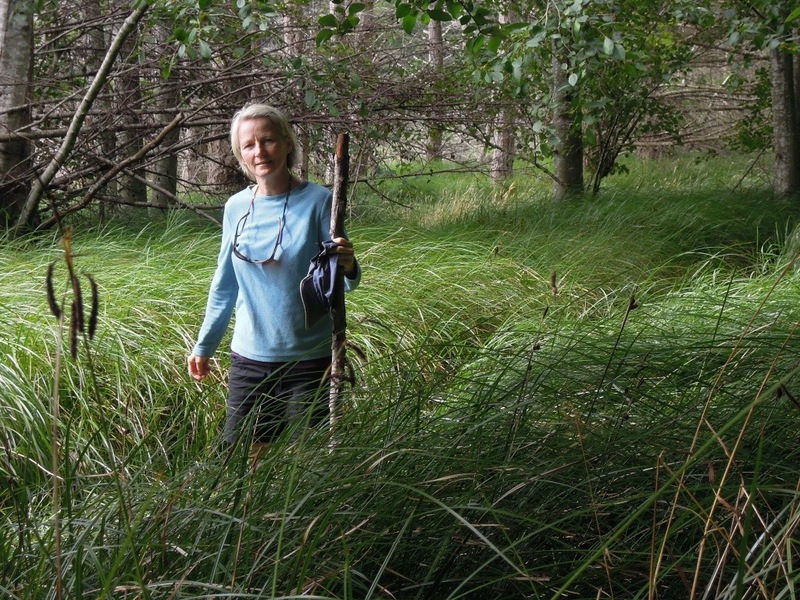 The walking is easy through the old logging roads and skid trails that cross the island. Farm Bay Road is the major route. 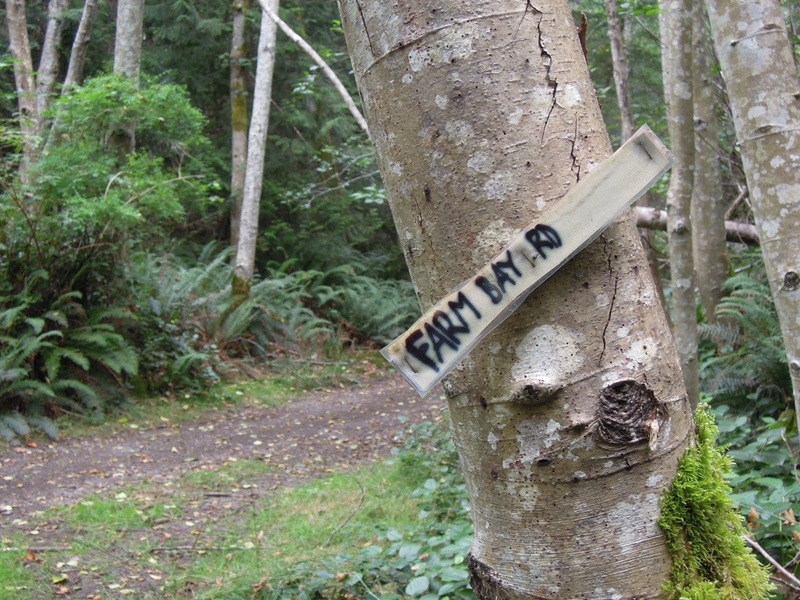 Signage is not to the usual provincial park spec. The beavers here are especially talented. This is one of the prettiest dams we’ve seen, and makes an excellent foot bridge. 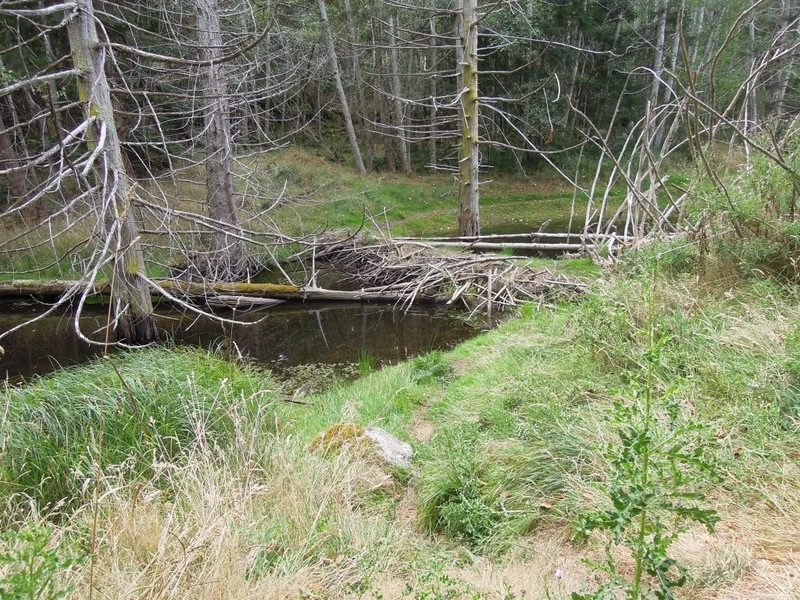 The dam creates a small lake, which is now beginning to flood the apple and cherry orchards of the original farm. A late summer night provides as good an opportunity as any for a nice dinner out. The Ruby Lake Resort is one of a handful of ‘dining experiences’ on the sunshine coast. It’s an Italian place, but not quite like your typical ristorante. It’s eclectic, sort of. The menu goes to Italian, wild game and fresh local seafood. Sounds diverse, but not really. The Italian food is essentially long noodles with a typical variety of sauces. No other choices like a risotto, lasagna, or a stuffed noodle – or even pizza. The food, however is nicely prepared and Interesting, I suppose, if you’re into the wild game thing. (I wanted to try the crab, but they had run out – early)). The wine listing is a broad, but scant survey, of Italian wine. The non Italian wines are limited to a couple of pedestrian Australian labels. Too bad that no BC wines are represented, because this is such a quintessential BC setting. What have we walked into? This place is weirdly beautiful. 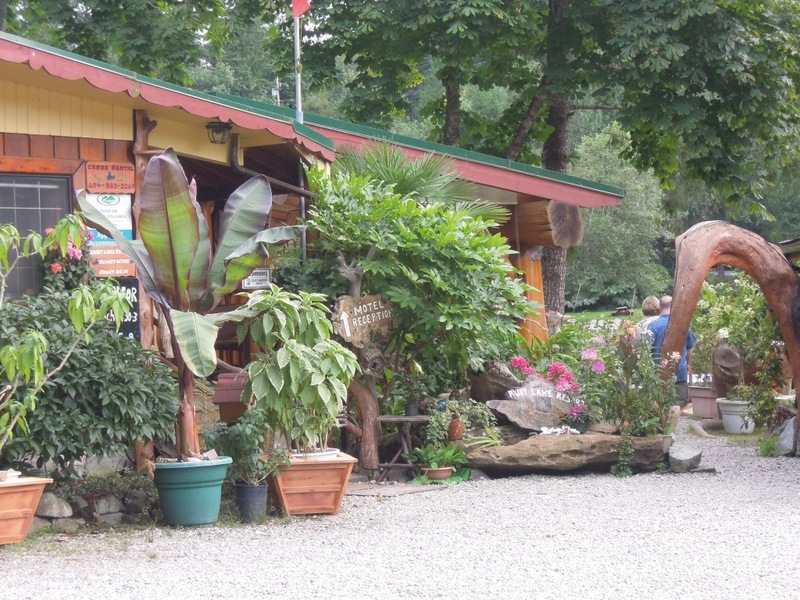 It’s an Italian rainforest hunting lodge, if that makes any sense. Lot’s of peeled logs and heavy wood furniture. Everything is heavy, but not at all dark. The patio opens up to a quiet lagoon, and the dining room has good views over Ruby Lake. 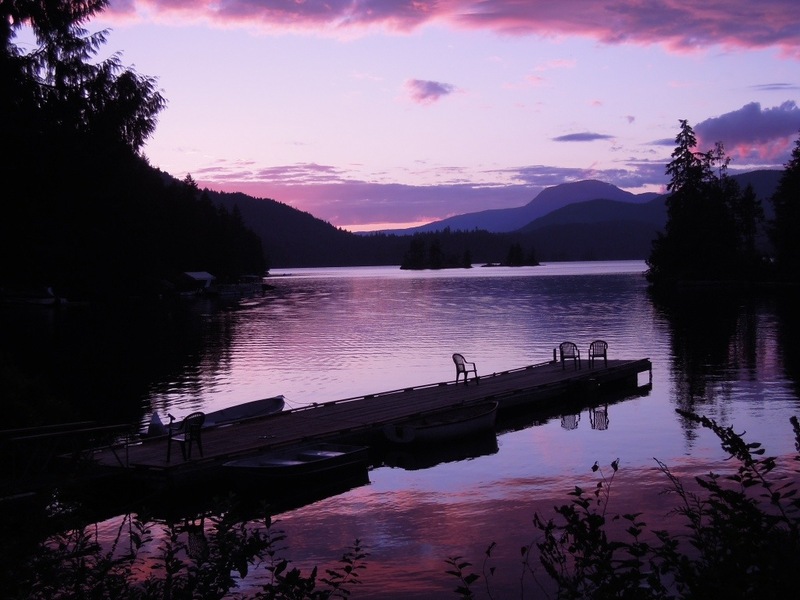 The Ruby Lake Resort is about 30 minutes north of Secret Cove on the Sunshine Coast Highway. Our first black bear visitors (sighted). Sittin’ on the porch. All is quiet. The cat jumps to attention and there they are – two juvenile black bears out for an evening stroll. 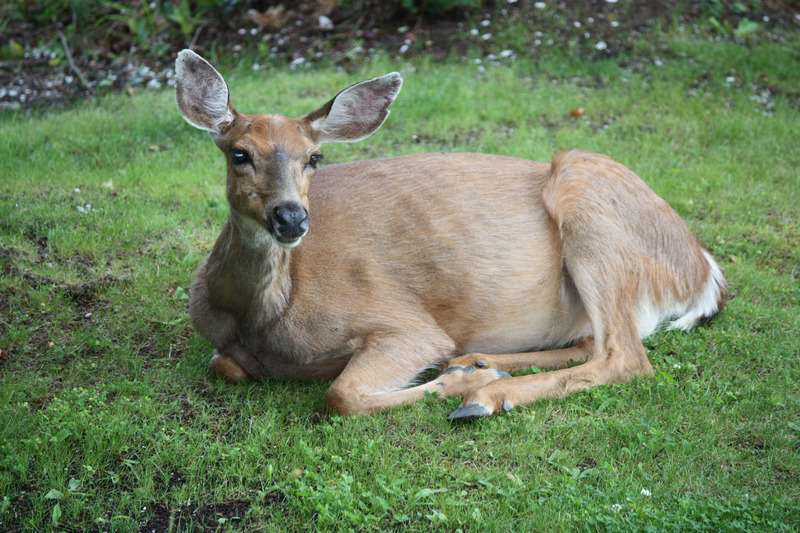 A casual gaze our way, chow down on a few berries, and then saunter away over the septic field. Secret Cove offers a rocky encroachment to the Pacific as it ebbs and floods through the Malaspina and Georgia Straits. 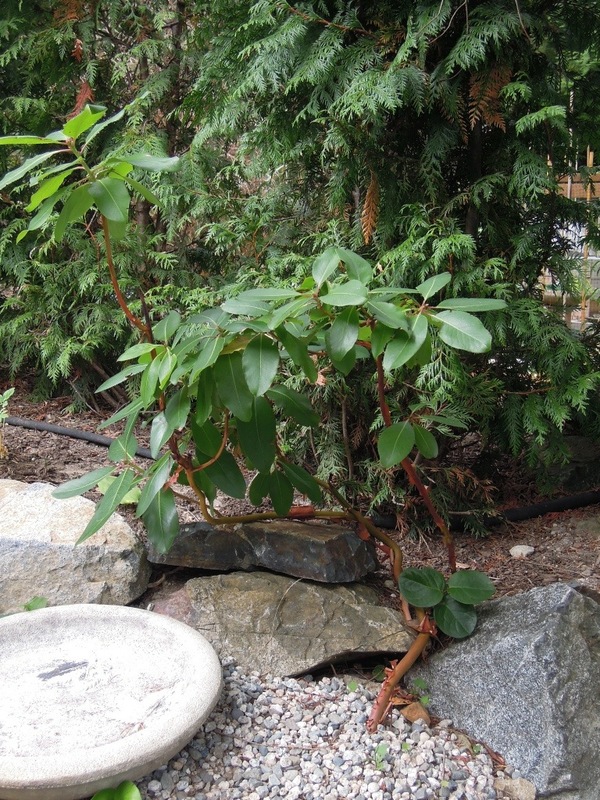 This is perfect habitat for the Arbutus tree. These trees don’t like a lot of soil, but they need the sound and the spray of the nearby ocean. 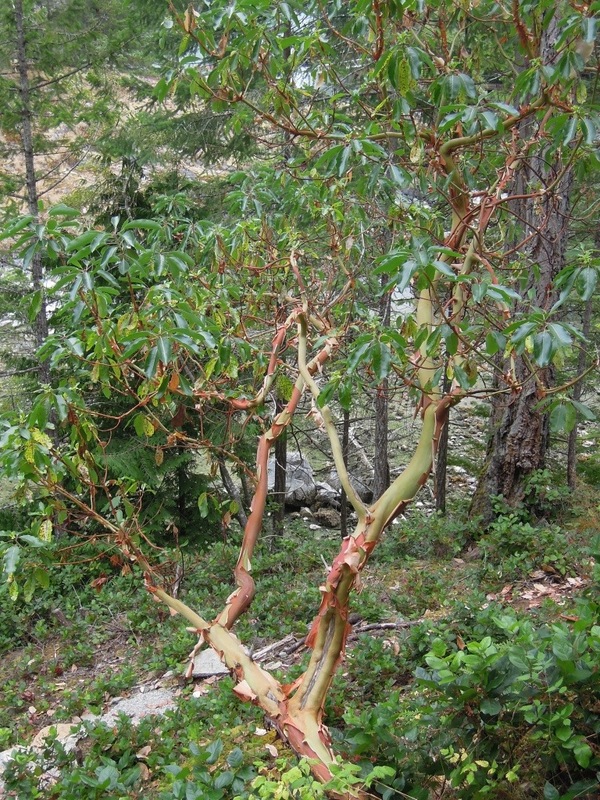 The Arbutus is deciduous tree, but not at all typical. It always has leaves. New leaves grow and old ones die still, but there is never a moment with no leaves. 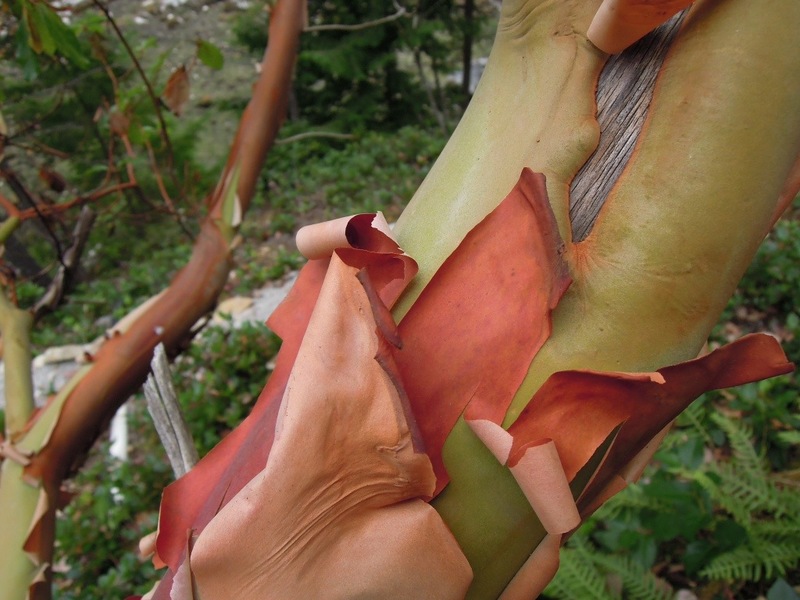 In the summer, however (right now) the reddish brown bark sheds its skin just like a bad sunburn. The bark is,paper thin. It curls up and falls to the ground. The exposed layer is green, but will turn red again by winter. One of our little ones…. 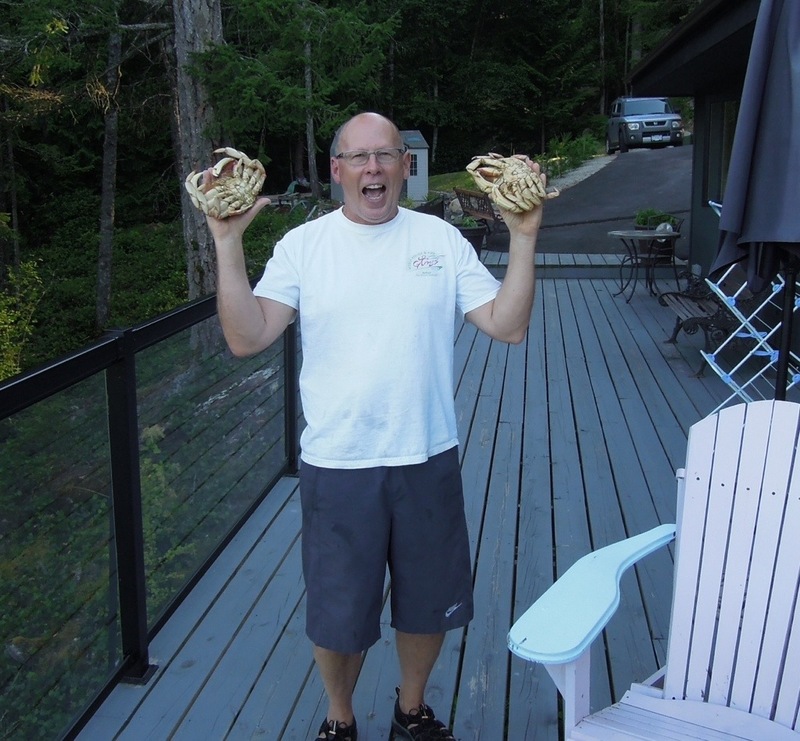 Thanks to evil persons unknown there persist vicious rumours alleging my lack of success as a crab fisherman. I present irrefutable evidence to the contrary. No, it was a crab. No. It’s a Sunflower Seastar. I’m beginning to really dislike creatures. This son of a gun was sucking down some tasty morsels I had out for crab. Pycnopodia helianthoides, commonly known as the sunflower seastar, is a large sea star found in Secret Cove and environs. (in this case, Buccaneer Bay). It is the largest sea star in the world, with a maximum armspan of 1 meter. Sunflower seastars usually have 16 to 24 limbs, their color can vary widely. They are predatory, feeding mostly on sea urchins, clams, snails, and other small invertebrates. They can be quick, efficient hunters, moving at an astonishing speed of 1 meter per minute using 15,000 tube feet which lie on the undersides of their bodies. 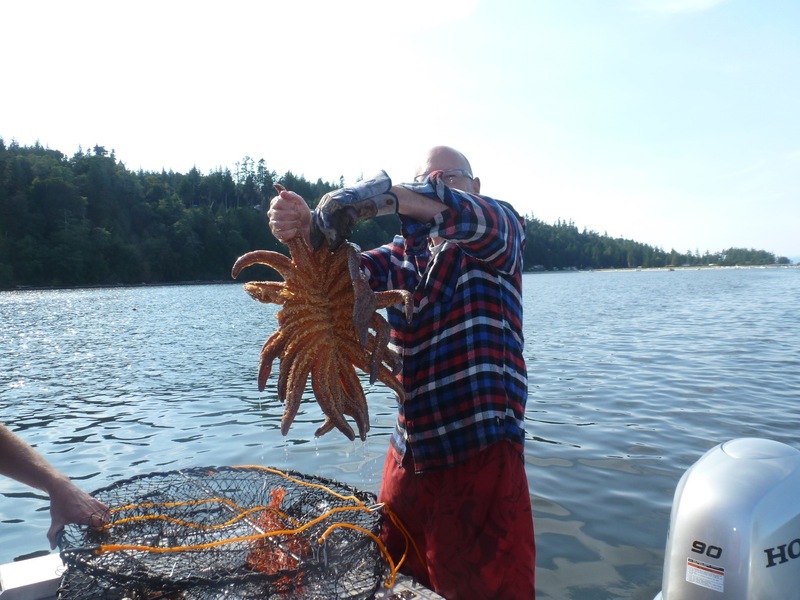 I wore my glove ’cause they’re a lot more gelatinous and slimy than a regular old star fish is. Breakfast is almost always good. Out of bed and ready to live another day. Breakfast on the deck is even better, with an ever changing cast of visitors. At first I thought this visiting Turkey Vulture was waiving for a piece of my muffin. Not really. 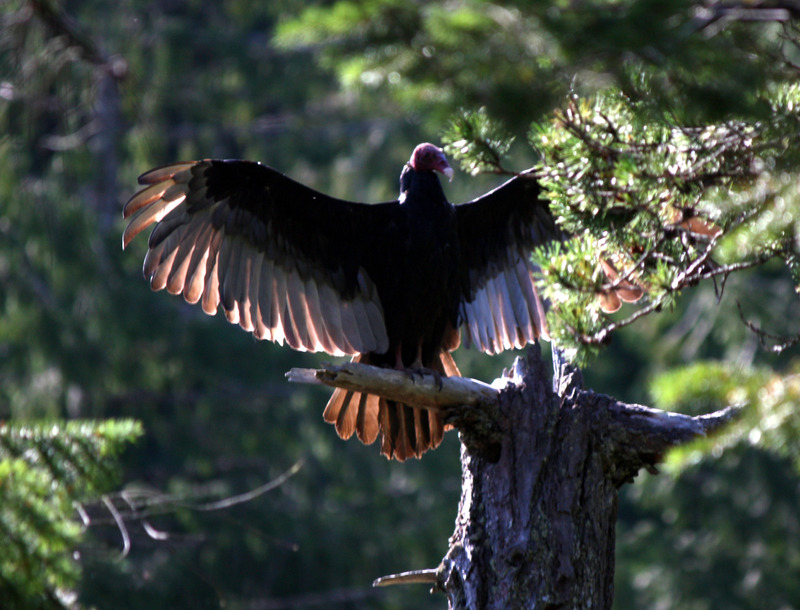 Turkey vultures are often seen standing in a spread-winged stance. The stance is believed to serve a number of purposes from drying the wings, warming the body, and baking off bacteria. In this case he had a nice open perch in the morning sun. You’re thinking cute. I hate these guys. First of all I planted a patch of lawn hoping someone would camp on it. So far this is the only taker. Secondly, she has no fear of me and hangs out in the yard, whenever she chooses, eating whatver plants she chooses, which is just about everything. 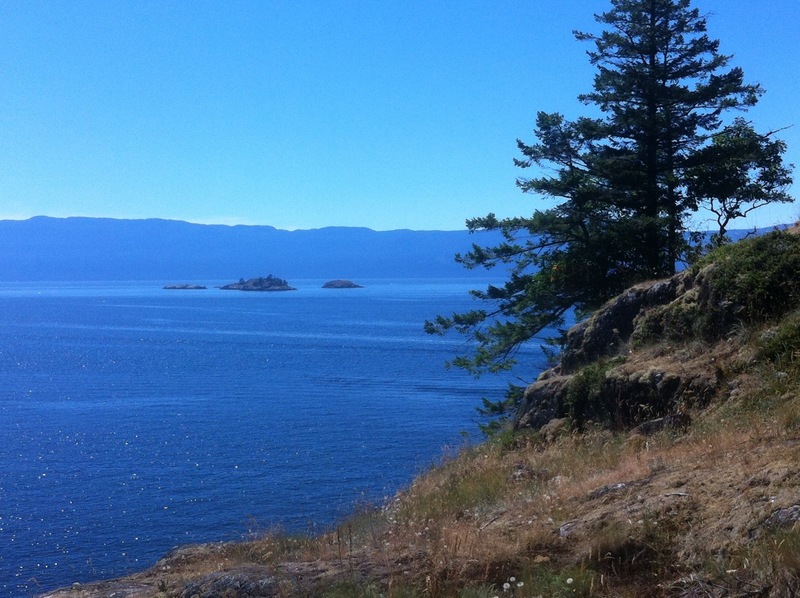 View towards Texada, across Malaspina Strait, from the Sakinaw Lake outlet.